Two months ago I explained that share price charts hide a wealth of information about the mood and sentiment of the market, with clues about likely future share price movement - in the chart patterns in particular (eg. triangles, etc.). And last month I continued that theme and explained how even more information is available in the candlesticks - both the features of individual candles, and also in the patterns of multiple candles (like the Hanging Man pattern shown at right). And last month I had some new Member-only web pages to support this material (links are in the July eNews email, or follow the links from this updated candlestick public page). In preparing the material for my contribution to The Age newspaper a couple of weeks ago (see the published article, or a scanned copy), I decided to post some extra material about market turning points, the Tower Bottom candle pattern and compound candles. You can see that here in the Toolbox. This prompted me to update two existing eBook Articles about candlesticks, and to write two new ones. There are now four eBook Articles in the Toolbox that cover the subject of candlesticks and candle patterns. Liquidity - how to avoid thinly traded stocks. In last month's focus we looked at candlestick charts and patterns. To support that material we had some new web pages in the Share Market Toolbox for members (web links to these pages are in the next section below). Last month's material is extended this month with one new eBook Article which supports the new web pages from last month, and includes three A4-size candle pattern posters. And there is another new Article on Composite Candles and Candle Addition. This describes a topic that is rarely talked about - the notion of "adding together" two or more candles to produce just one candle. 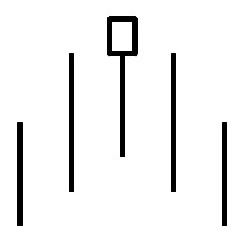 This is depicted in the accompanying sample graphic, where a black candle and an engulfing bullish white candle together comprise the Bullish Engulfing candle pattern. But if we "add" these two candles together, the result is the third "Compound Candle" shown in the diagram which is actually a Hammer pattern. Understanding this idea, and being able to apply it, can make a big difference to what we can "see" in the candle charts, and our interpretation of the underlying market mood and sentiment. See the Candlestick eBook Articles listed below for more details, and especially Article TA-3780, "Composite candles...". One of the things that puzzled me for a long time when I started studying candle patterns, was that there is a very long list of different patterns, and it is so hard to work out which pattern is which, and what they all mean. [Can you relate to that?] There is a lot of web-based material available that describes many candle patterns, but nothing to help explain how to easily identify the various candle patterns - until now! So, in addition to my new candlestick material last month, I have written the new eBook Article TA-3710, "Candlestick interpretation". See the link below. TA-2100 "Price charts and time periods" (unchanged) provides an introduction to price charts, and describes the key differences between line charts and candle charts (the free page 1 for non-members is here). 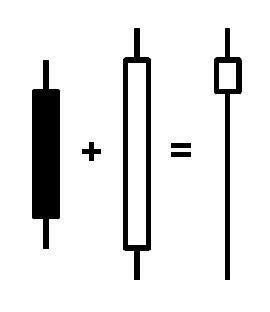 * TA-3700 "Candlesticks explained" - (the free page 1 for non-members is here). This Article has been renumbered this month, and updated (please dispose of the earlier version with Article number TA-3110). TA-3710 "Candlestick Interpretation" - (the free page 1 for non-members is here). This brand new 6-page Article supports the new candlestick web pages that were announced last month. This Article goes into more detail, and it is easier to print for future reference, and it includes the three A4-size candle identification posters. * TA-3750 "Candlestick patterns" - (the free page 1 for non-members is here). This Article has been renumbered this month, and updated (please dispose of the earlier version with Article number TA-3700). TA-3780 "Composite candles and candle addition" - (the free page 1 for non-members is here). This 6-page Article is brand new and explains a topic that is rarely talked about - the usefulness of understanding that if we look at two candles together as a single "compound candle", we can often better understand the underlying mood and sentiment of the market. * - These two Articles have been renumbered this month. There are now a total of 104 Articles in this eBook collection of Articles (435 pages of information)! You can see the Master List of all Articles here (recently new or updated ones are highlighted), and the Detailed Topic Index here. And don't forget to see the updated Table of Contents pages (see links in side-bar at right).